Spotify CFO Barry McCarthy has never been more right. Speaking at at Goldman Sachs’ Communacopia conference in September last year, the ex-Netflix exec smiled his way through a grilling about increasing public tensions with the three major music companies – fully aware that 2019 would be the year in which Spotify faced difficult renegotiations of its existing global licensing deals with Universal, Sony and Warner. This morning, Spotify did the same thing. The streaming service’s diatribe against Warner Music Group today (February 25) was shocking in its linguistic ferocity. If that seemed like a crassly exaggerated choice of words in the current cultural climate – essentially describing a corporate entity declining to sign a piece of paper, remember – the feeling of semantic overkill was exacerbated a few hours later, as music press headlines zoned in on a not guilty plea from R.Kelly. To fully understand the obvious emotion behind today’s Spotify vs. Warner spat in India, we must first grasp the central cause for the fallout: Warner wants to ensure that Spotify pays a certain amount for use of its music worldwide, and Spotify doesn’t like it. The clues are plain to see. “WMG revoked a previously agreed upon publishing license for reasons wholly unrelated to Spotify’s launch in India,” said Spotify’s statement earlier. This was a barely-concealed reference to the fact that (a) Spotify needs a Warner/Chappell license to effectively launch in India; and (b) that Warner Music Group is using this fact as leverage in its wider global licensing negotiations with Daniel Ek’s company. Warner Music Group boss Steve Cooper has repeatedly voiced concerns about falling premium ARPU (average revenue per user) on Spotify – where ARPU officially declined by around $25 per year between Q4 2015 (€6.84 per month) and Q4 2018 (€4.89 per month). It’s no great leap to suggest that Cooper’s team may have demanded that, should Spotify want the opportunity to launch in India fully-licensed by WMG this month, it had to acquiesce to some kind of minimum ARPU floor in the major’s global multi-year contract (which is set to expire towards the middle of this year). 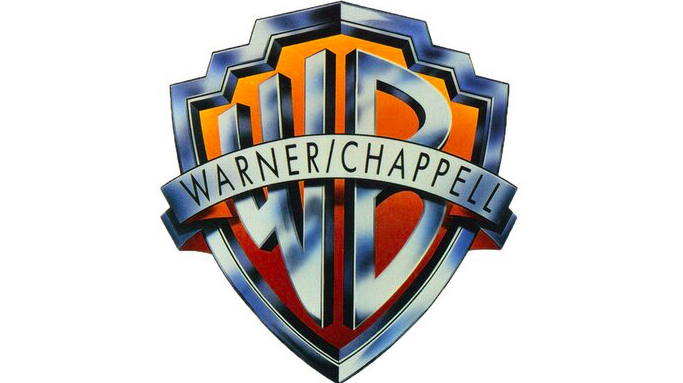 Why has today’s quarrel focused so readily on Warner/Chappell, rather than Warner Music Group’s recorded music output? Because the one million-plus copyrights created by Chappell’s songwriters are spread throughout the world’s biggest hits like sand cast against a sheet of glue. Even if a Chappell writer claimed a 1% cut of a hit record owned by a Universal or Sony label, Spotify legally wouldn’t be able to host it without an agreed license from W/C. In short, Warner can do the most damage to Spotify’s hopes for a successful launch in India by withholding the rights to its publishing catalog, rather than its recorded music library. Spotify is, obviously enough, deeply unhappy about this fact. Because, money! Earlier this month, Spotify told its investors that it was projecting a net addition of global subscribers between 21m and 31m in 2018. Considering it added 25m subs in 2017, that’s essentially a prediction that SPOT will repeat the stellar performance of last year – despite an expected industry-wide slowdown of subscriber growth in key territories like North America and Europe over the next 10 months. Launching in India – fast, and successfully – is therefore crucial for Spotify’s good-news-day on Wall Street, helping prevent further declines in its stock price on the NYSE, and stopping Daniel Ek from facing uncomfortable scrutiny of his leadership amongst the analyst community. So when Warner recently said nuh-uh to Spotify’s use of its lucrative publishing catalog, it sent the Swedish platform scrabbling for other options. And the option it’s settled on is, at best, problematic. Spotify is attempting to bend a historical statutory broadcast license in India to its modern-day requirements. This legal loophole is designed to help TV and radio broadcasters clear music for use on their mediums – but Spotify is arguing that the same principle (ie. not needing to clear rights with rights-holders directly) should also apply to its on-demand digital service. In Spotify’s opinion, this licensing block from Warner has “[left] us no choice but to file for a statutory license”. Yet there is another choice, of course. It’s called launching without the licenses you haven’t been able to secure, from the music rights-holder that has refused to give them to you. What happens now? As you read earlier today, Warner has launched an injunction against Spotify’s hopes to clear Warner/Chappell rights via the Indian statutory license. Sources close to Spotify tell us that the company is confident it will prevail in this injunction hearing, which is being whizzed through India’s High Court as you read this. In fact, rumors out of India suggest that, should Spotify succeed in throwing out the injunction hearing tomorrow (February 26), it could launch its service in India within a few hours of such a decision being made. If Spotify does launch in India tomorrow, it will, according to the company, do so with full licenses from both the publishing and recorded music sides of Universal and Sony, not to mention powerful local independents like India’s T-Series. Yet if Spotify’s service also offers songs covered by Warner’s publishing company, let alone WMG’s recorded music operation, expect more fireworks to fly. For one thing, even if Spotify manages to pull off a legal coup, securing the statutory right to Warner/Chappell’s songs, this would only cover the performing right in India. The mechanical rights to Warner/Chappell’s Anglo-American hits, unrepresented by any local society, could therefore prospectively end up being infringed in the territory within a matter of minutes. Ordinarily, that would be enough to trigger a Defcon-1 legal reaction from a major music rights-holder – yet Warner will be cognizant of the fact that Spotify was the biggest streaming contributor to its record $4bn annual revenues last year.